Shaar blatt of sefer Eitz Chaim. In 2449, the Nasi of Shevet Gad, Elyasaf ben De’uel, brought his korban. 5393/1633, Harav Meir Schiff, zt”l, the Maharam Schiff. According to another opinion, his petirah was on 20 Adar 5401/1641. Harav Chaim Abulafiah was born in 5420/1660 in Chevron. His father, Rav Moshe, was one of the city’s leading Rabbanim. The family soon moved to Yerushalayim, where the boy Chaim learned under Harav Shlomo Algazi, Harav Avraham Amigo and Harav Yaakov Chagiz, zecher tzaddikim livrachah, leading Gedolim of Yerushalayim. A close friend from those days was Harav Chizkiyah da Silva, zt”l, the Pri Chadash, whom Rav Chaim quotes in his sefarim. As a young man Rav Chaim was entrusted with a shlichus: to travel to Turkey on behalf of the community in Chevron. In all the cities that he visited Rav Chaim was asked to speak, and he was successful in raising funds for the community back in Eretz Yisrael. In 5472/1712 Rav Chaim visited Izmir, Turkey, where he made the acquaintance of Harav Yisrael Benbenishti, Rav of Izmir, who was impressed with Rav Chaim’s Torah and accomplishments. Returning to Eretz Yisrael, Rav Chaim was appointed Rav of Tzfas, where his uncle and other family members had served as Rabbanim, and he stayed there for about eight years. His spell-binding drashos were later compiled as Shvus Yaakov and Yashresh Yaakov. In 5485/1725 Rav Yisrael Benbenishti, Rav of Izmir, was niftar. The community leaders turned to Rav Chaim and asked him to serve as their Rav. At the same time Rav Chaim received a similar request from the community of Amsterdam, Holland. He chose Izmir because it had a local printing press where he could publish his sefarim. As soon as he settled in Izmir Rav Chaim took charge, enacting many takanos and enforcing them with a firm hand. 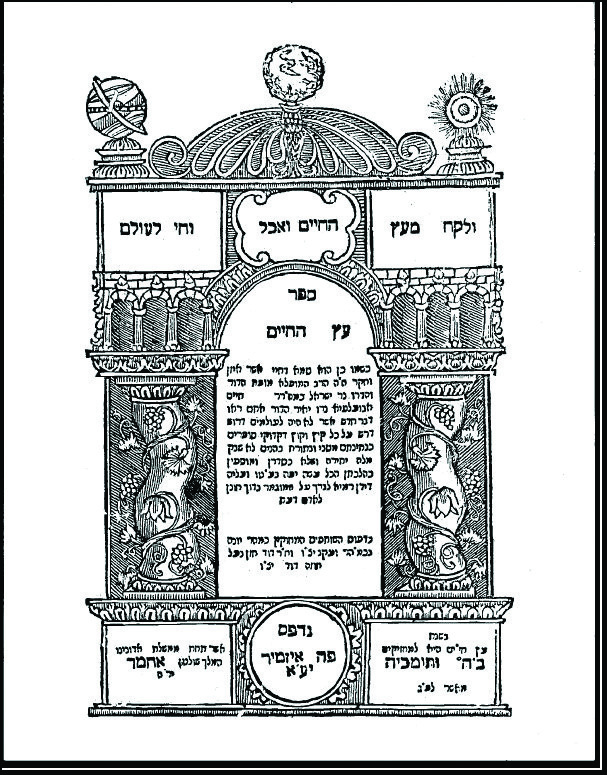 In Izmir Rav Chaim published Eitz Chaim, his drashos on the Torah; Mikra’ei Kodesh on Pesach; Yosef Lekach on Torah; Yashresh Yaakov, his chiddushim on Ein Yaakov; Shvus Yaakov, also on Ein Yaakov; and Chanan Elokim, a collection of drashos and pilpulim. All the while Rav Chaim lived in chutz la’aretz he yearned for Eretz Yisrael. In 5500/1740, when he was 80 years old, he returned there, settling in the newly rebuilt Teveria. Despite his age, he was actively involved in the building of new batei knesses in the city. On 6 Nisan 5504/1744, Rav Chaim was niftar at the age of 84. He was buried in the old cemetery in Teveria. In 1865, President Abraham Lincoln spoke to a crowd outside the White House, saying, “We meet this evening, not in sorrow, but in gladness of heart.” It was the last public address Lincoln would deliver. In 1945, during World War II, American soldiers liberated the Nazi concentration camp Buchenwald in Germany. In 1961, former SS officer Adolf Eichmann went on trial in Israel, charged with crimes against humanity for his role in the Nazi Holocaust. In 1968, President Lyndon B. Johnson signed into law the Civil Rights Act of 1968, which included the Fair Housing Act, a week after the assassination of Martin Luther King, Jr.